DISCLAIMER: This review will contain spoilers for the first book in the duology, Six of Crows. If you haven't read that book and wish to go in unspoiled, stop here. FIRST THOUGHTS: A great followup to Six of Crows! Among all the rave reviews for this duology, one sentiment cropped up over and over: "Both books are good, but the second one is better." Now that I've read both of these massive tomes almost back-to-back, I have to agree. It's a great followup, one of the few that manages to surpass the first. THOUGHTS ON PLOT: While the first book was a straight-up heist story, the grand plan for this book can be summed up in two words: "Burn. Everything." (Okay, Kaz's master scheme is a little more complex than that, but still.) As a lover of revenge stories and a noted supporter of burning things, I enjoyed this book's plot even more than the original. I also found this one to be a bit easier to follow, but maybe that's because I was more accustomed to the world in which its set. I also liked the ending much better, and I thought that the story's conclusion was fitting. It completes the story and leaves the reader satisfied, but still leaves plenty of openings for future installments, whether they include Kaz and his crew or not. THOUGHTS ON POLITICAL STUFF: I have no notes to add from the last book -- at least, none that wouldn't get spoilerish. This is one of the most diverse YA books I've ever read, and just like its predecessor, it manages to avoid the traps of stereotyping its minorities. Disabled people, abuse survivors, POC, and queer people alike all get a turn in the spotlight. 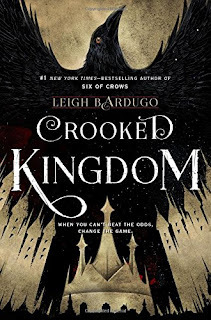 As I mentioned in my review of Six of Crows, I hope that other YA authors follow Bardugo's lead, especially since this book is as popular as it is. FINAL THOUGHTS: I'm really glad I took the time to read this series. While I will note that it is a bit overhyped (as popular books tend to be), it's well worth the read. I'd love to see it get adapted into movies or a series -- I think Neelam Gill would make a perfect Inej. I'm looking forward to reading The Grisha Trilogy, Bardugo's other series set in the same universe. In fact, I already own the first book, so look forward to seeing reviews very, very soon. 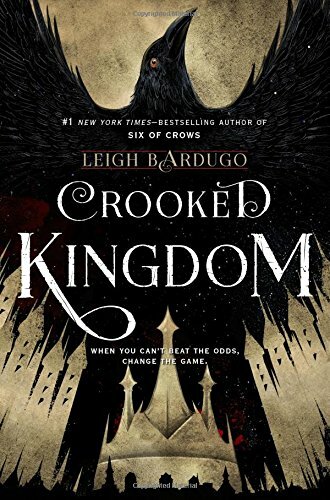 If you've read Crooked Kingdom, I'd love to hear your thoughts below.